Are you remodeling your home? Electrical rewiring and remodeling go hand in hand. You may need to include a home electrical rewire anytime you remodel a room in your home. Are you remodeling your bath? Are you looking to add a tub circuit? Does your kitchen remodel include adding wiring for additional appliances? Do you want to add recessed lighting over your new kitchen island? If you are upgrading appliances or tearing down walls, home electrical rewiring should be on your to-do list. Our Atlanta electrical contractors are ready to assist you with your home electrical rewiring, remodeling, and home improvement projects. When you remodel a room in your home, you affect the electrical circuit for that area. Let’s say you reorganizing a kitchen by moving cabinets and appliances to give it a better flow, your existing outlets will also need to be moved. You’ll need to make sure your current electrical set up meets the demands of your evolving environment. An experienced Atlanta electrician will make sure your electrical design fits in with your home redesign. After your remodel, your electrical systems may no longer be up to code. 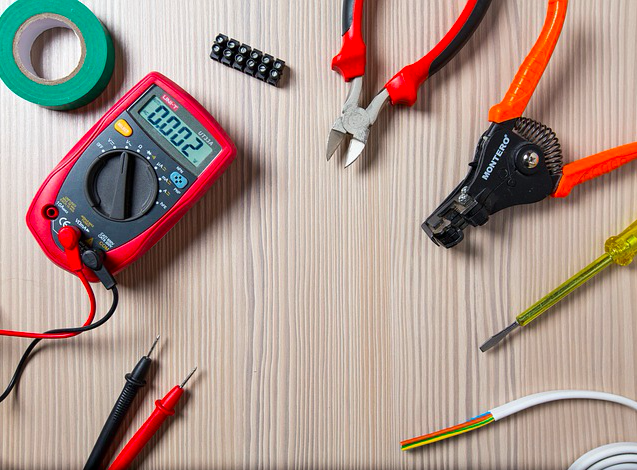 We make sure your electrical wiring meets the latest National Electrical Code. Also, when you hire McCall Enterprises as your electrician you’ll take a proactive approach to preventing flickering lights, electrical fires, circuit breaker problems, and other electrical issues. Whether your home improvement project is as small as adding dimmer switches, or if the project is a major overhaul requiring new outlets or a circuit breaker replacement, home electrical rewiring is not a do-it-yourself task. Call McCall Enterprises Atlanta Electrical Contractor. We’re Atlanta’s #1 choice for electrical rewiring and remodeling contractor.